This convenient e-design package equips you with all the tools you need to create your dream space, on your own time, ONLINE, and without the dreaded design firm price tag! Whether you're looking for a complete style change—right down to the paint color—or just a modern update to your current furnishings, the Spruce Kit is designed to help you shake things up with a fresh perspective. Trust me, your home is going to love you for this! With a design style quiz, 60-min consultation and private Pinterest board collaboration, we will work together to determine the best fit for your personality and lifestyle! Then I will begin working on your custom Spruce Kit design. There is one complimentary round of revisions included in every Spruce Kit. This means you never get stuck with a design you don't love. The online client portal makes it easy and seamless for you to view your design and provide feedback. After your final design has been approved, you will be provided with a mood board, floor plan and online shopping list for your Spruce from popular online stores. Just purchase items from the links provided and style according to plan! The Fresh Perspective You've Been Wanting! What All Do I Get With My Spruce? No matter where you are, good design is within reach! The Spruce Kit is the perfect solution for for out-of-towners and busy bees who want a convenient, affordable approach to interior design. If you'd prefer a virtual Spruce Kit, just let me know at checkout, and I'll send you my How-To-Measure Guide and a link to schedule our video chat! Your home should be relaxing, rejuvenating, and feel comfortable + safe. I love to help people enhance their experiences within their own homes, without having to break the bank with a complete overhaul. If the Spruce Kit sounds like it fits all of your design needs, I'd love to work with you. Follow the link below to get started! What's the typical timeline for Spruce Kits? Only 3 weeks! We’ll start off by having you complete a design questionnaire, take measurements of the space(s) you want styled, and getting current photos. From there, we’ll collaborate on an inspirational Pinterest board, which will help me gather even more information about your design aesthetic. By the end of week 2, I’ll pull together those resources to develop a Spruce Kit design that is personalized to you and your space. The Spruce Kit comes with several mood boards, floor plan and a digital resource list for you to use to buy the items featured in your Spruce. It's hassle-free interior decorating at its finest! What if the room I want to spruce is on the small side? Like a bathroom or breakfast nook? For spaces that aren't quite a "room," I've created custom pricing options to fit your needs. These Spruce Kits have been discounted by $50! For more information on what qualifies as a "space" versus a "room," please refer to this list. Will you make changes if I don’t like something? Each Spruce Kit includes one round of revisions, so that you never end up with a design you don't love! Additional revisions are available for $75 per round. What if I want to Spruce more than one room? Is there a discount? Yes! You qualify for a 15% OFF discount with the purchase of 3 or more Spruce Kits (whether they're for your, or to give as gifts). All you have to do is apply the promo code 'MULTIROOM' at checkout. Can I gift a Spruce Kit to someone? You bet! Whether you're looking for the perfect holiday gift, or you're a realtor wanting to surprise new homeowners with a fun + practical housewarming present, all you have to do mark "This is Gift" at checkout. I will mail you a pre-wrapped, letterpressed Spruce Kit gift certificate, including instructions on how your recipient can start their home transformation! Want to read a few testimonials? Check out my Spruce Kit Welcome Packet for more information! 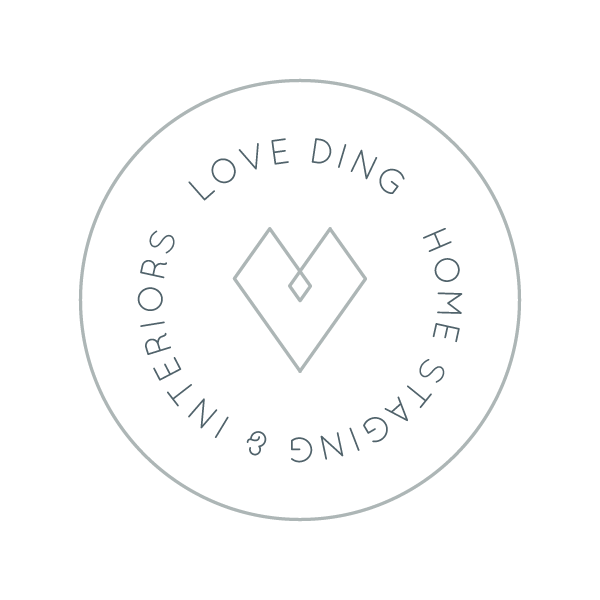 Feel free to reach out at hello@withlovefromding.com with any additional questions.